SE3 features a pre-wired balance control and master volume, Bass and treble on separate potentiometers with the mid band control on SMT PCB. 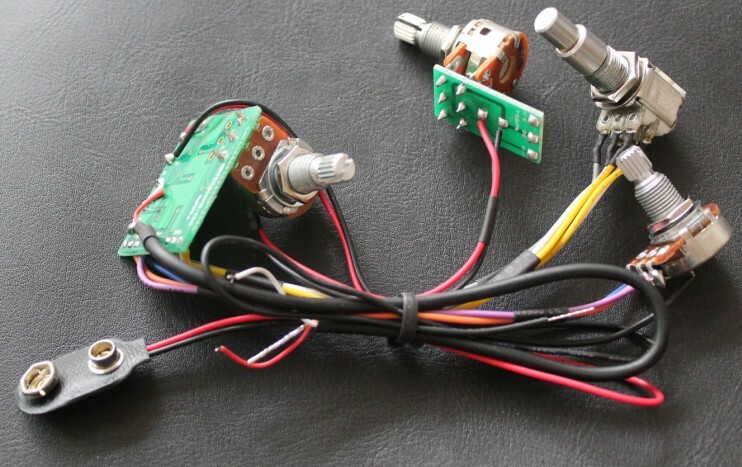 Each control pots are designed to connect to PCB by connectors, which make SE3 installation easier. All you have to do is solder connection to pickup, output jack, ground and battery clip. 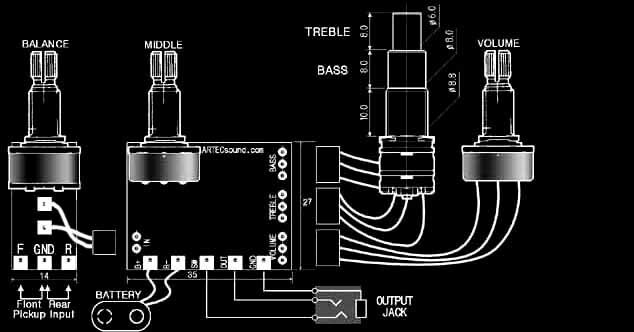 High Impedance Input design matches with any Active and Passive Pickup. And also Low Impedance Output will keep the same tone from your guitar to any amplifier system without losing high frequency response. Using advanced Surface Mount Technology could reduce unwanted sounds (Noise) while increasing sound quality and it's reliability. ARTEC guarantees a virtually noiseless sound with long 9 V battery life. (more than 2000 hours in continuous use. - workable voltage : drop down to 2.2 V). SE3-A features SE3 with a Concentric Potentiometer, which is Bass and Treble bands are on one pot and mounted on SMT PCB.